Don’t Burn out before you even begin! (Set Yourself Up for Sustainable Success from the Outset). With the festive season fading swiftly into the past, many of us are now well into our ‘New-Year-New-Me’ health and fitness kicks. For many other busy parents though, school holidays can often mean that the opportunity to launch into their ‘New Year Resolutions’, doesn’t really present itself, until the kids start (back) at school. 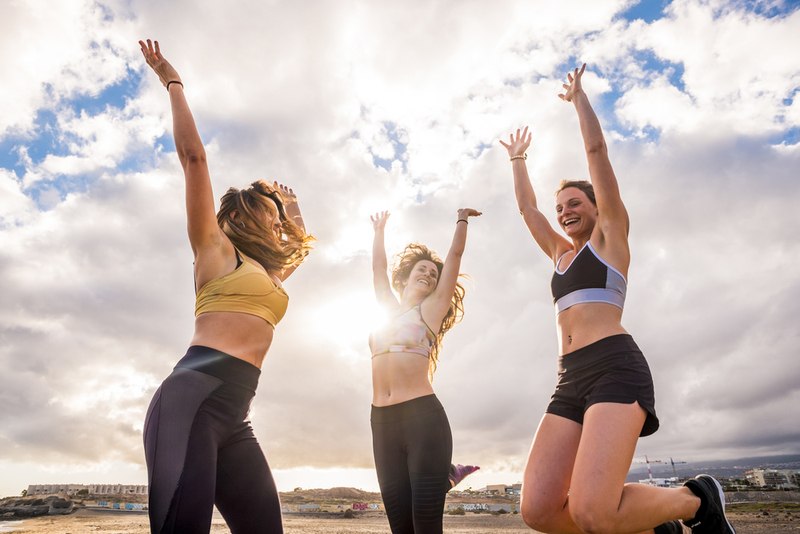 Regardless of your starting time, the ‘all-or-nothing’ approach that’s commonly employed by most ‘newly dedicated’ health and fitness enthusiasts, is a sure fire way to reach burn-out before sustainable success! When most people embark on a health and fitness kick, their focus is often firmly set upon an ‘outcome driven’ goal: a specific weight…. a specific dress size…. a specific event…. a specific activity…. In an effort to achieve the ‘outcome’ as quickly as possible, the commonly employed ‘all-or-nothing’ approach, means that many people launch into excessive (and counter-productive) exercise regimes, as well as excessively reduce energy intake. More often than not, this also includes the elimination of all snacks, including favourite comfort foods. Pushing your body from little or no exercise, straight into a 60 minute workout, 5 days per week is not only going to put your body under enormous stress (because it simply hasn’t had time to adapt and become conditioned to its new demands), but it’s also going to test your mental willpower! Racing from 0 – 100 kilometres in 10 seconds, isn’t for the faint hearted! It takes time for your body to adapt physically and that’s especially hard if it’s being deprived of all the necessary nutrition and ‘fuel’ it needs in order to operate at optimal levels! Radically cutting calories and depriving yourself of all your favourite foods all at the same time is going to take its toll physically, but also mentally…. so implementing a new ‘eating pattern’ also takes time. Yes…. it takes time for the strategic layering of positive health behaviours to establish sustainable and long term ‘lifestyle habits’ (which are aligned, and ultimately capable of producing the desired ‘outcome driven goal’). Until new habits are established, and healthier behaviours become the ‘automatic default’, willpower is the ‘fuel source’, and unfortunately…. Willpower is a finite resource! 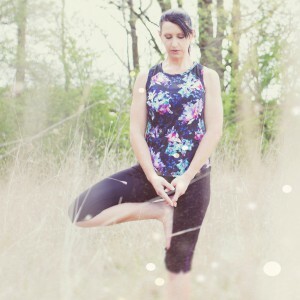 When your body is tired, sore and fatigued or worse still, injured…. and your stomach has been screaming at you for days and you simply can’t resist that chocolate bar and bottle of red for another moment…. you’ve burnt out…. you break out…. and in true ‘all-or-nothing’ style, once you’ve ‘fallen off the wagon’, you typically don’t jump straight back on it! Your goal needs to support your progress towards the achievement of an actual outcome. It needs to align to your big picture vision and therefore can’t be too arbitrary…. but being overly specific can also set you up for failure! So…. a vague goal of “I want to get healthier” is not very helpful, in that it doesn’t provide the crystal clear outcome you ultimately want to achieve. It’s far too broad in its description and is open to both rationally and emotionally driven opinion. Conversely, the overly specific goal of “I want to weigh 72kg” is not helpful either, because if this weight is not possible (or likely) for your build or body type, you’ll always feel a sense of failure or defeat…. and not even willpower can trump that! You want to feel that sense of achievement, right?! You want to feel good knowing that your actions achieved a desired outcome & you want that feeling to reinforce all those helpful actions that will then lead to firmly ingrained habits. Your goals therefore need to be quantifiable! You can measure your success in a number of ways… either by basing your goals on pre-determined benchmarks (such as the recognised ‘health indicators’), or by the achievement of some other pre-determined outcome (for example, the number of push-ups you can perform or the amount of water you drink each day). It’s always important to have your big picture vision in sight on the horizon in order to guide your goal focussed actions…. however, there’s also a risk of becoming too overwhelmed by the magnitude of such a large goal which can often result in the loss of motivation, self-sabotaging behaviours, and a sense of failure. Instead, keep your daily focus on the smaller, achievable goals that inspire you to keep putting one foot in front of the other! This step requires some real objective thought and critical evaluation because sometimes our goal setting can be driven by emotion, rather than rational thinking! Consider seeking a second opinion if you’ve fallen into this trap previously. Put simply, you actually want to be able to achieve your goal…. so it needs to be within your reach. If it’s beyond the realms of possibility, all your hard work will go completely unrewarded, leaving you with a sense of failure. It might also undermine your overall confidence levels and feeling of self-worth. Without a time-based element attached to your goal, there’s no sense of urgency to achieve it. By having an open-ended completion date, goal focussed actions are likely to be less consistent and motivation will fade over time. A deadline creates a specific target to strive for. Habits (both helpful and unhelpful), are developed through a process of repetition and behavioural reinforcement. So, rather than establishing ‘outcome driven’ goals (which provide no direction on ‘how to’ progress towards the achievement of your goal), focus instead on ‘habit driven’, or ‘process driven’ goals. This is a great ‘outcome driven’ goal that also fits SMART goal planning principles. 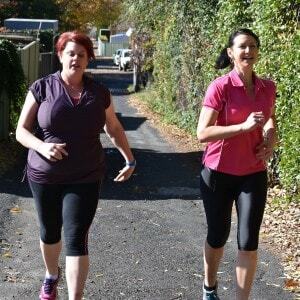 The majority of Australian adults already know that exercise and good nutrition underpins and directly impacts weight loss (or weight gain) efforts. Unfortunately, it’s the lure of the quick-fix, fast-results, outcome driven goals that requires the all-or-nothing, willpower-depleting approach. Take a breath…. and focus upon the positive lifestyle habits that you want to cultivate and the behaviours that you need to reinforce each day to achieve that. Take it one step at a time…. and before you know it, you’ll create a new simple routine and you’ll experience the flow of a whole new happier, fitter, healthier life! Are you ready to IGNITE! Your Lifestyle Revolution in 2019? If you’d love to learn 7 Simple Secrets to Spark Your Lifestyle Revolution, register now for my IGNITE! Program. It’s MY gift to YOU! Running again in February and delivered online over 7 days, you’ll create and apply your very own Master Plan to spark your Lifestyle Revolution, based upon my top seven, simple, yet highly powerful self-honour rituals. Cherie Rivas is the straight shooting Women’s Health & Wellness Coach who shares her knowledge and experience in weight loss, psychology, personal training and yoga, together with her studies in nutritional medicine, to inspire and empower other women to rise into the life they love. Through the core elements of Cherie’s ‘fitness, food & fortitude’ philosophy, women are physically, intellectually and emotionally enabled to refocus their mind, recreate their menu and reform their body. This ultimately creates a solid foundation of heath which allows them to rise into the life they love. Body Shaper, Menu Maker and Paradigm Shaker…. 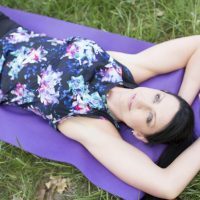 Cherie is a winner of a prestigious International Women’s Day Award, local Business Chamber Awards finalist, co-author, blog contributor, public speaker, and reformed ‘yo-yo dieter’. She has personally developed, and delivers a suite of programs focused on enhancing the physical and emotional wellbeing of women…. allowing them to reclaim energy, confidence, superior physical health and the vibrant power to create the life of their dreams.